18.30 – Jermaine Sprosse, clavicembalo. 18.30 - Jermaine Sprosse, clavicembalo. In this exquisite harpsichord recital, we will together enjoy the most splendid “frutti” – rare and probably unknown works for solo harpsichord. There is a big range of variety in it, beginning with small pieces written by J.S. Bach and dedicated to his eldest son Wilhelm Friedemann Bach for the latter´s education as a keyboard player (hence Notenbüchlein für W. F. Bach). Furthermore, we explore the fascinating and highly demanding repertoire of W. F. Bach himself by an energetic early keyboard sonata and a late example of his oeuvre, the d minor Polonaise of WF Bach’s cycle of 12 Polonaises (1765-1770). Special highlights are Johann Gottlieb Goldberg and his pupil Gottlieb Friedrich Müller (ca. 1735 – ca. 1763), being pupil and thus pupil in a second generation of J.S. Bach. Of those two we will get to know a single prelude and fugue in f minor as well as a keyboard sonata, certainly belonging to the most remarkable pieces of this stylistic realm. The Tendrement by Geminiani with its intense emotional texture and its beguiling dissonant harmonies (acciaccatura e mordenti) is like a bijou, coming from a different world and thus enriching the whole programme. The instrumentalist is considered to be one of the outstanding interpreters of the music of C.P.E. Bach and his stylistic environment. Concert engagements as soloist lead him to venues such as Festival KlangBasel, Bach Festival Schaffhausen, Mendelssohn Musik Woche Wengen (CH), Festival de Musique Improvisée de Lausanne, Edinburgh Fringe Festival, Swiss Clavichord Days, Davos Festival, Festival Viel Klang, Thüringer Bachwochen and of course to the wonderful Concerti di Campagna near Rome. As continuist and soloist he regularly performs with Freitagsakademie Bern, Zürcher Kammerorchester, Ensemble symphonique de Neuchatel. 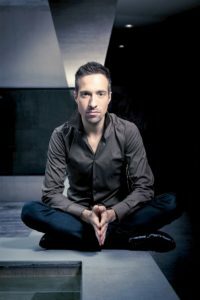 Both his solo recordings The Kings Men (CPE Bach, Nichelmann Fasch) and Friedrich Wilhelm Rust – The keyboard poet (SONY, 2017) were received with enthusiasm by the press and led to various engagements in the form of concerts and radio broadcasts. Price at the international Tim Competition in Paris.